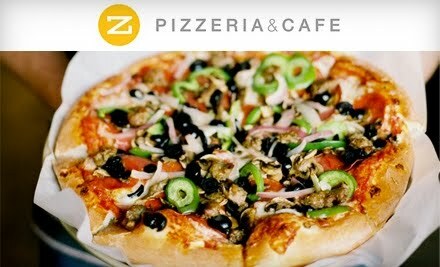 $10 for a $20 Gift Certificate to Z Pizzeria!! I love getting half off at nice places!! Today's Groupon is a $20 Gift Certificate for $10 at Z Pizzeria in Salt Lake! Your able to buy 2 and you can use them for dine-in or carry-out. See details here. If your new to Groupon, they have a new deal everyday that's deeply discounted. The deal is on if they get enough people to buy them. Since I've been signed up I have never seen a deal not go through. The deals are too good to pass up! To see the deal in your area go here.